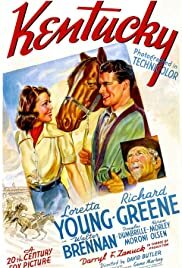 Walter Brennan set a standard for supporting actors with this perfect equine movie. You actually believe that the 38-year-old Brennan is a wizened 68-year-old track veteran. Young Loretta is equally winning in her starring debut. This is the classic movie that all the cliches copied.